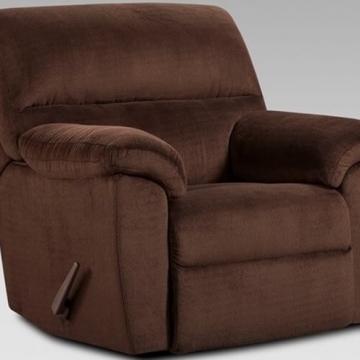 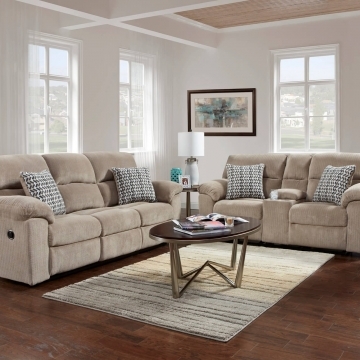 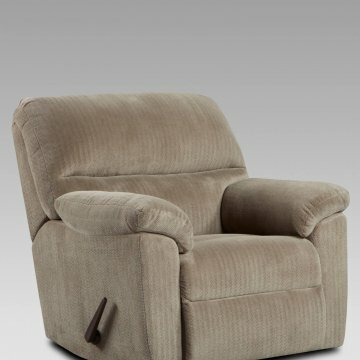 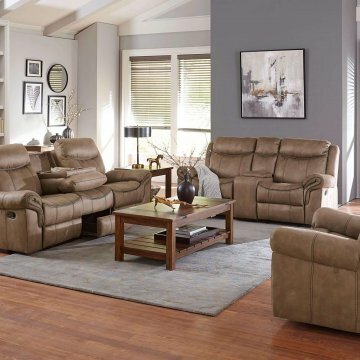 The 2120206 Boyband Power Recliner from Signature Design by Ashley is perfect for any home theater or space you want to relax! 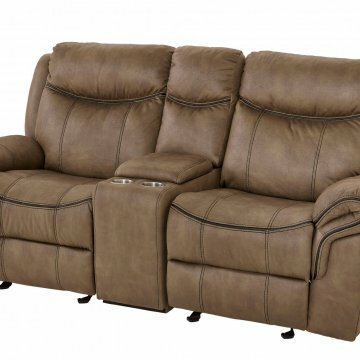 Covered with a matte black PU upholstery, this is an easy to care for, durable leather like upholstery. 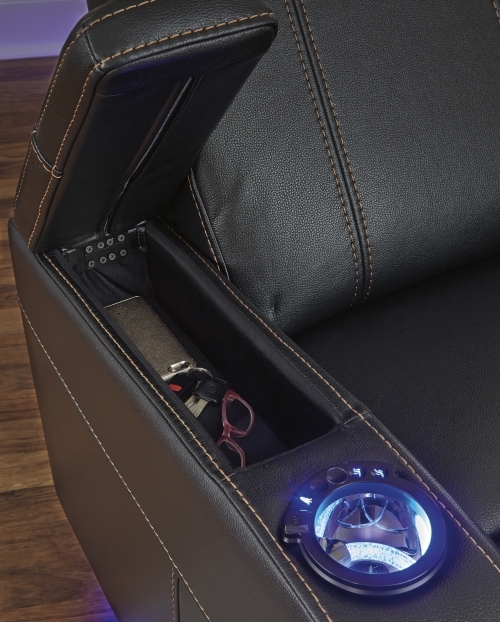 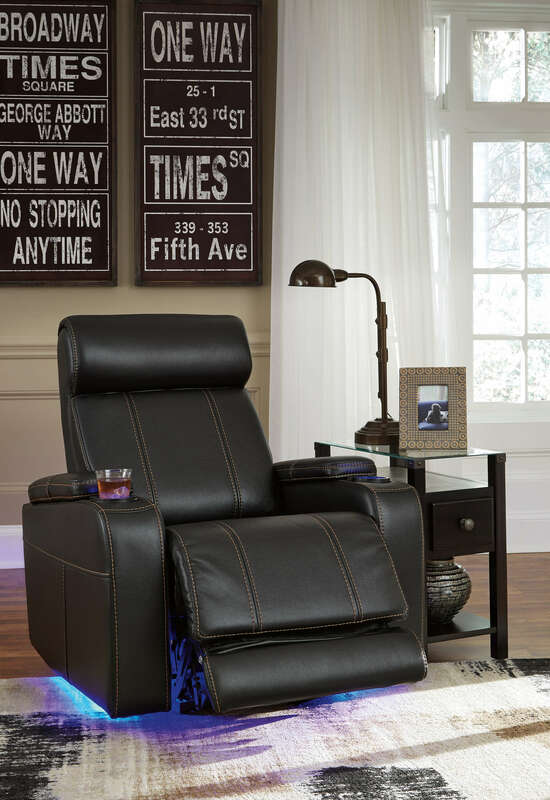 Blue lighting gives this recliner a futuristic look, while the one touch power controls make it a pleasure to relax in.